Kayak rentals for the day are $30, livery as far as Boyer Crossing is $5 per boat, Burtville or Roulette is $10. Includes kayak (sit in), life vests for adults or children, paddles. Excursions are normally self-guided. Participants should plan on bringing: lunch, beverages, sunblock, bug spray, sunglasses, and waterproof bags for anything you want to keep dry! 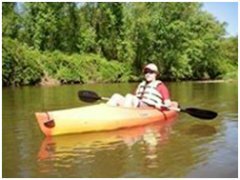 Waterways serviced include: Allegheny River, Potato Creek, and Little Genesse. (Seasonal depending on the water levels. 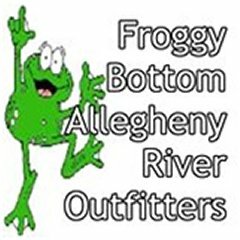 Call 513-437-6449 for additional information or to schedule your kayaking adventure with Froggy Bottom Allegheny River Outfitters.